One of the biggest hits at this year's Comic-Con International was the fresh look at Mad Max: Fury Road, the new take on George Miller's classic dystopian opus. With all the buzz around the new trailer, it's a good time to remind ourselves that there's going to be a game set in the same grungy future wasteland. I try to steel myself from getting too excited for any movie tie-in video game especially during Comic-Con International. Nerd Prom is the place to get folks of all stripes excited about games, comics, TV shows and movies but signal-to-noise ratios are at their worst. Nevertheless, I've watched the Fury Road trailer about a dozen times now. Each time, I can't help thinking what it'd be like to play through sequences that shared the same chaotic, beautiful visual DNA as was shown in the trailer. 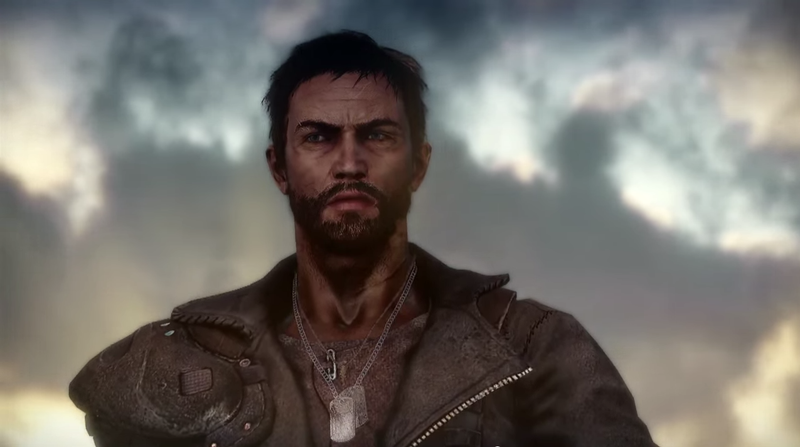 But the upcoming Mad Max game may be connected to the new movie in name only. One Mad Max game was announced way back in 2008, initially talked up as a joint collaboration between Mad Max director George Miller and God of War II director Cory Balrog. But, after that game's extended period of silence, another was revealed with a new development studio, Just Cause creators Avalanche Studios, attached. The last substantive update came as part during E3 2013, where its creators said it wouldn't tie into the upcoming film (and shortly thereafter decided that, ok, they'd have the protagonist speak with an Australian accent). Then, after being initially touted for a 2014 release, came a delay that bumped the game to next year. The trailers that Warner Brothers' games folks have pushed out so far look a little darker and different when compared to this newest movie trailer, muddying the connection between them. One presumes that the powers that be at Warner Bros want the game to draft off the box-office excitement of the movie's 2015 release. That's generally how these things work. But, with a continued drought of news around the Mad Max game, it's not clear exactly when it will be hitting consoles. Kotaku contacted for Warner Brothers Interactive Entertainment representatives for comment but has not received a reply.